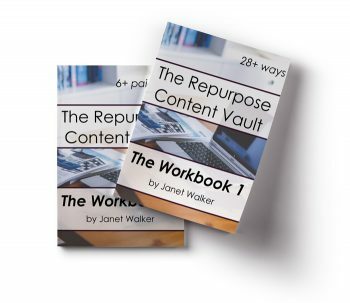 This self-paced process will help you find clarity and answers in your business & life. This process will help you open up and to be truly honest with yourself to help you see where you need to work on. - To deal with situations, people to help you get where you want to be in your business and life. This is your life and you create your future but now is the time to assess your past & present to help you make the right decisions with intention and peace. 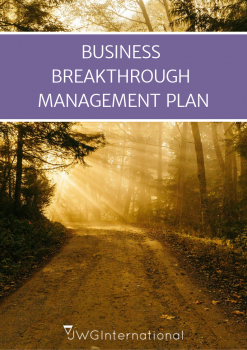 The Business Breakthrough Management Plan will help work when you are truly honest with yourself. I have worked with clients who have seen tremendous breakthroughs on why they were stuck and unable to move forward without knowing why. This process will walk you through in your own time & will help you look at yourself internally, externally and at your deeper core. The deeper core where all good, bad and uncertainty eventually sits and either helps or hinders. You deserve to be your best self. It's your choices and actions that will help shape your future. 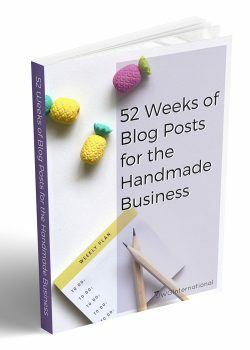 The struggle is now over about what to blog about for your creative business. This was created to solve the " I'm stuck on what to share next" Or to help you stop looking at a blank screen when it's time to write your next blog post. Or help you get started if you are in the beginning stages of blogging for your creative business. The secret key to why some people have content overload, while others struggle. Is thanks to Content Repurposing. They make that blog post or video work for them like it's earning a salary. All you need to start is 1 blog post or video that's it! This 30-minute detailed video training will show you how to find targeted keywords that people are actively using. So you can name your products & put them online. Thus helping your products get found by the very people who are ready to buy. Link Me Live Pic Package Live Streaming is Serious Business. Share your social media links with your audience. Share your Links like a Pro & Never forget your Call to Action again. 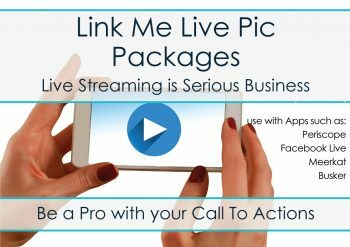 Use your Link Me Live Pic at the start, middle or the end of your live stream to show your links. This session is your opportunity to get tap into my brain of the unfiltered overflow of ideas, methods, solutions and so much more. Those that have been lucky to pick my brain, will tell you I don't hold back. My passion to help will be evident in what I share, and the number of golden nuggets of information you will receive. Let's talk about ideas, uncertainty, clarity, or any area of your business. This session goes very fast, so it will be overviews, ideas, the best action to take etc..